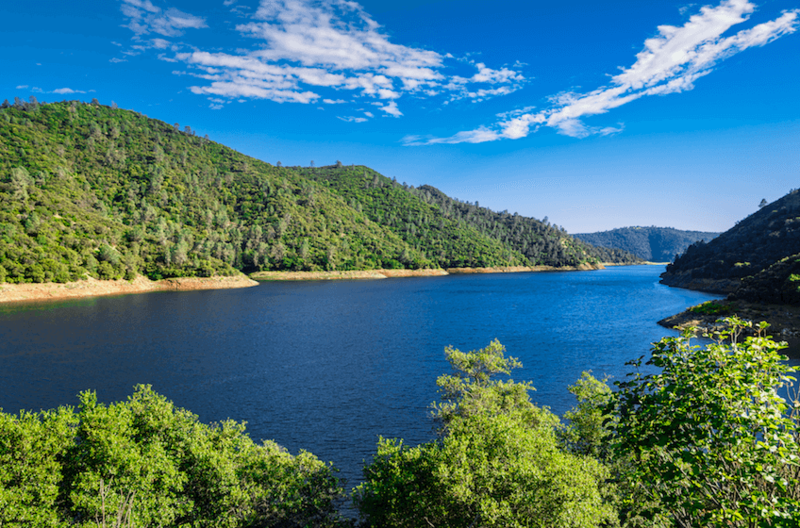 Don Pedro Lake camping offers fun for the entire family and the area is a wonderful place to enjoy the great outdoors, especially if you’re in to water sports! 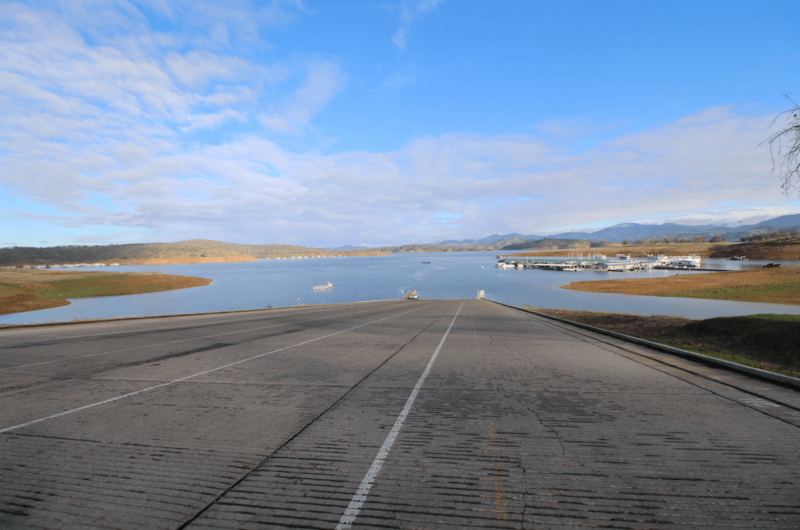 Located about 2 1/2 hours east of San Jose (CA) Don Pedro Lake has over 160 miles of shoreline and 13,000 surface acres of clear blue water. Visitors can enjoy some mighty fine fishing, boating, canoeing, kayaking, paddle boarding, jet skiing, water skiing and windsurfing. You can also rent houseboats and spend your time cruising the beautiful lake. There’s also lots to do on shore include hiking, biking, picnicking, hunting, throwing some horseshoes, playing volleyball and softball, or watching the wildlife. The “Fireworks Spectacular” on-the-water show is usually scheduled in June. 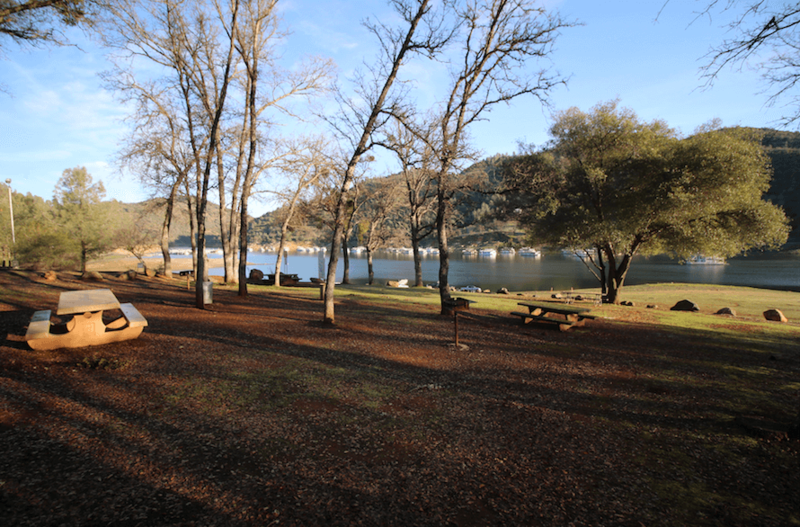 There are three campgrounds situated around Don Pedro Lake including Fleming Meadows, Moccasin Point and Blue Oaks. 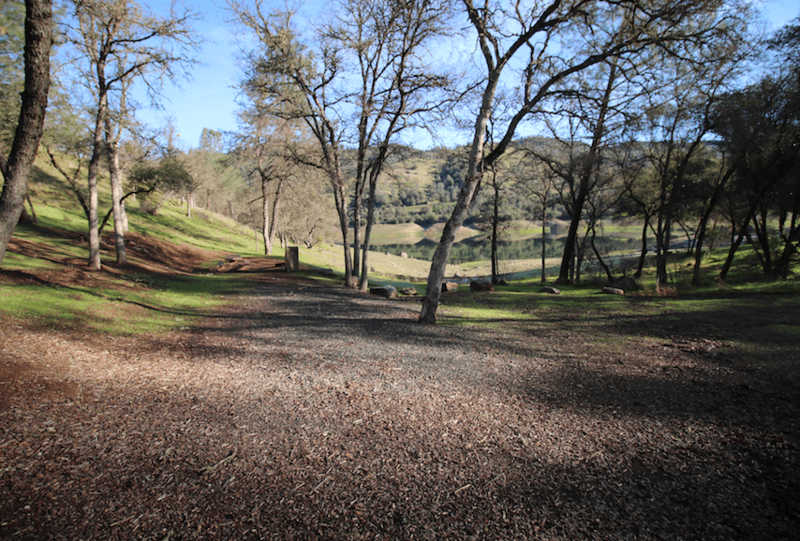 We have campsite photos for both Fleming Meadows and Moccasin Point, and will also get Blue Oaks campground soon. Fleming Meadows campground is big, with 90 full hookup sites, 176 standard (no hookup) sites and several walk-in tent campsites. 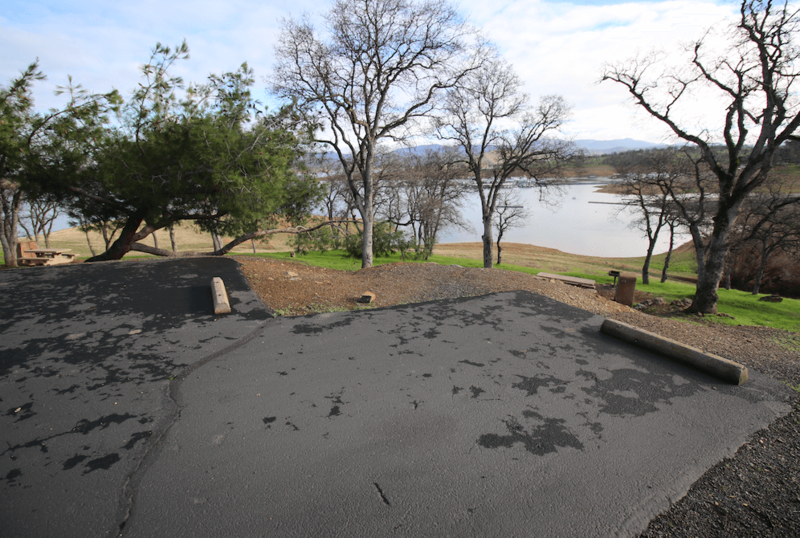 Campground amenities include a nice 2-acre swimming lagoon, picnic areas, snack shack, horseshoe pits, volleyball court, softball field, marina, boat launch and fish cleaning station. There’s also delightful hot showers (no charge), drinking water, flush toilets and a dump station. WiFi Internet access is also available in the campground. 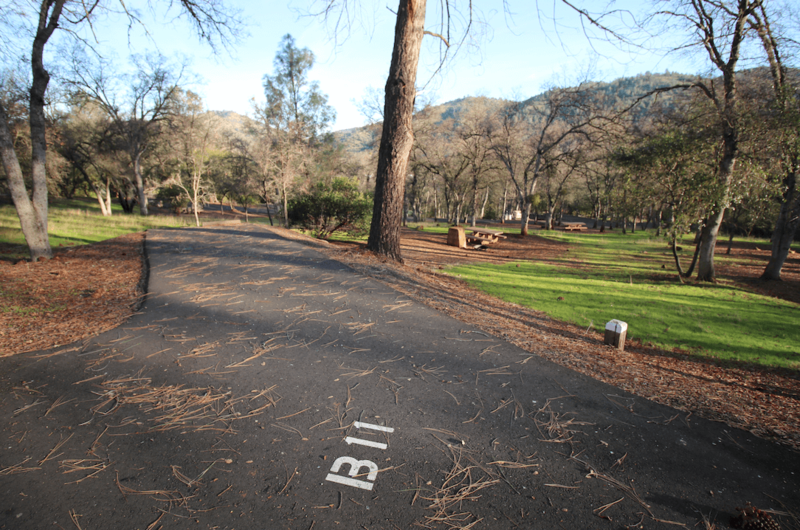 Campsite parking spurs are paved and each site also has a table, fire ring, grate and food storage locker. Several sites also have nice views of the lake! Pretty views of the lake and marina from this site. Great views and a nice area to pitch a tent. 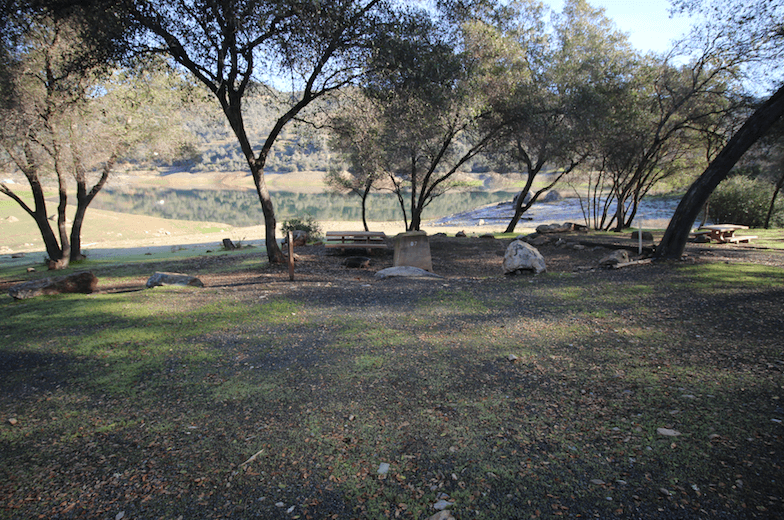 Moccasin Point campground is located in a canyon along the Tuolumne River and the Moccasin Bay arm of Don Pedro Lake. It also has 18 full hookup sites and 78 standard (no hookup) sites. 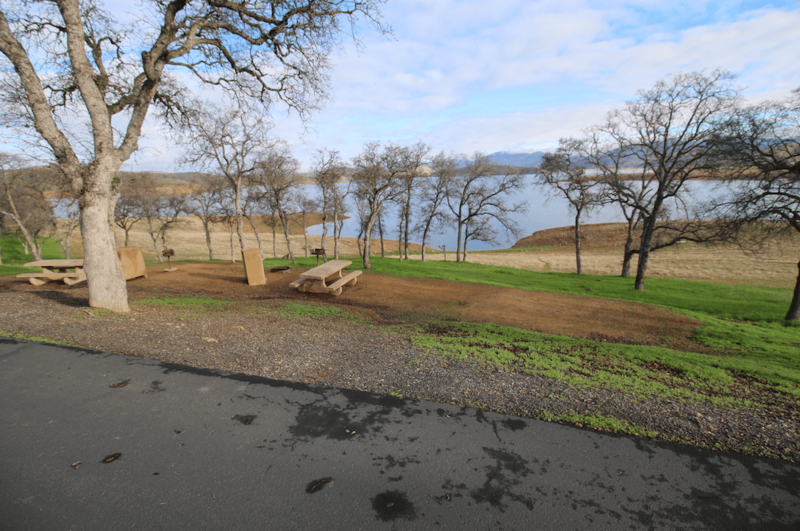 Campground amenities include free hot showers, drinking water, flush toilets and a dump station. 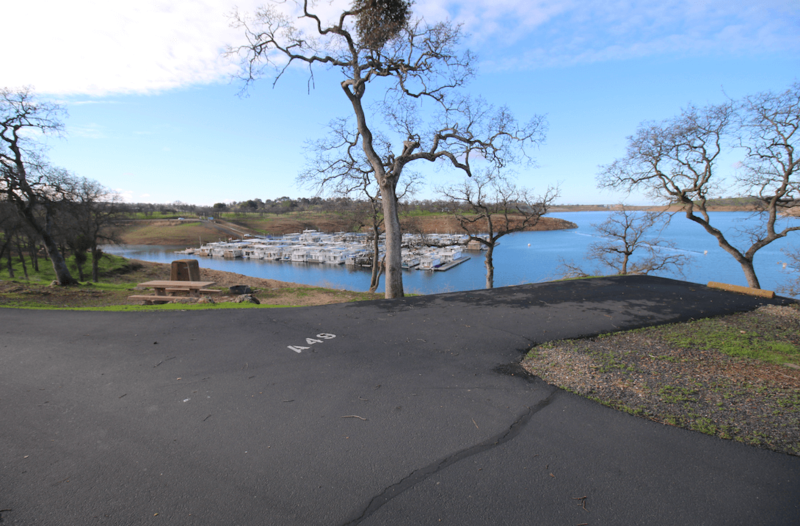 There’s also a marina, boat launch ramp, fishing cleaning station, picnic area and walking trails. WiFi Internet access is also available. Fishing seems to be particularly good over here, especially for trout. A quiet campsite with nice lake views. This site is large, flat, has nice shade and pretty views of the lake. 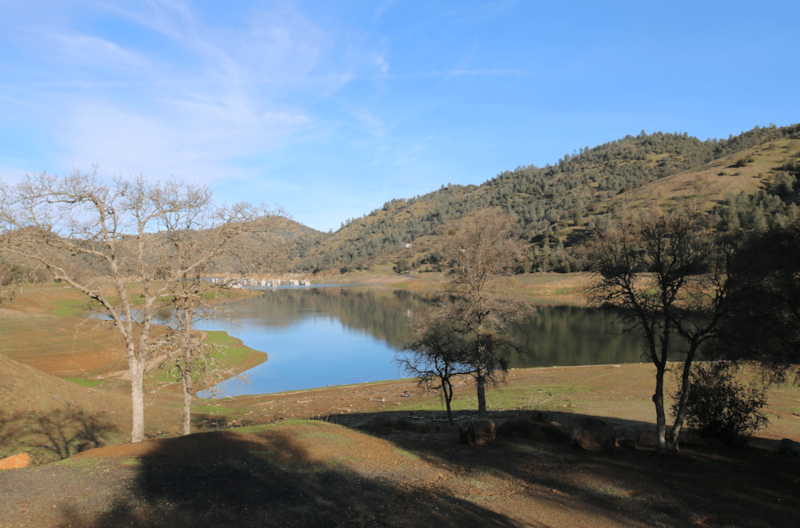 Hope you enjoyed our short review on Don Pedro Lake Camping. For reservations you can click HERE.